Tesla Model 3 Phone Dock Spacer 6mm or 8mm #3DThursday #3DPrinting « Adafruit Industries – Makers, hackers, artists, designers and engineers! 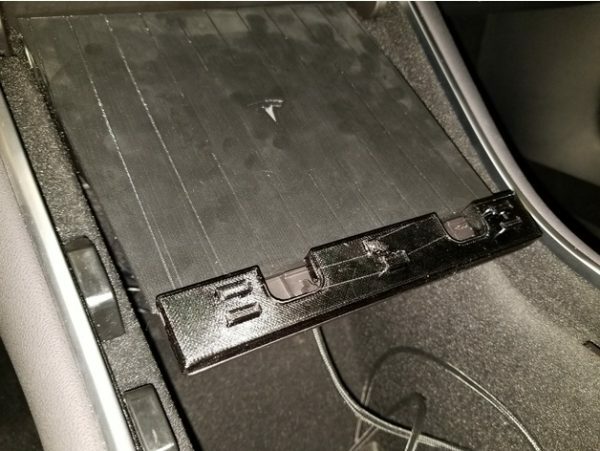 This is a spacer for the Tesla Model 3 phone dock. It adds 6mm or 8mm of extra room on the phone dock and you can put the OE phone dock right on top. The protruding nob on the top side of this spacer is not designed as good as I expect it. This is because the OE nob is spring loaded and there is only so much you can do with 3D printing.